TGA Subcool presents one of their favourites strains. Vortex is a four way crossing of: Genius x P75 x Romulan x Cindy99. A sativa plant that matures quick, high yielder with bitter-sweet taste. We recommend to use sticks to hold its branches. Profesor Chaos by TGA Subcoolis the energy you need for your daily works. A crossing between Mad Scientist x Jack The Ripper that offers solution for pain, with an clear euphoric effect. Professor Chaos is a dominant sativa with a yield over the range, with a quick flowering of only 8 weeks. TGA Subcool presents Purple Apollo aka The Void.A crossing between Apollo-13 and Querkle. Apollo-13 adds a euphoric sativa effect, while Querkle adds purple tones, with grape odours. Medium to high yields can be expected, with a floating effect. After long time working on this crossing of: Jacks Cleaner F1 x Purple Urkle x Space Queen, TGA Subcool comes out with a strain known for its stability between units, all with a fast growing, that in certain conditions turns to purple colors. 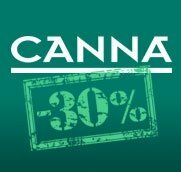 Medium to high yields can be expected from this plant with onlye 9 weeks of flowering. Qrazy Train is a hybrid with two dominant phenos: One taller type Train Wreck and the other one smaller like Urkle. A strong effect strain, relaxing, good against pain. Everything with a skunk taste with tints of grape, mellon and champagne. Querkle is an indica dominant hybrid with unforgetable taste. A strain highlighted by Skunk Magazine and High Times magzine for being a good yielder with fantastic aromas. Querkle is resulting hybrid from: Urkle x Space Queen. It grows taller with high density, with good yields when growing phase is enlarged. 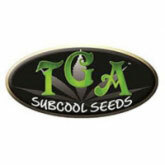 TGA Subcool adds to its strain catalogue this Qush, a plant crossing of: Bubba Kush Pre-98 x Space Queen. 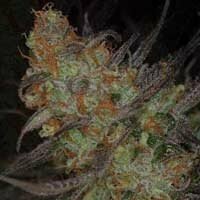 This strain has been developed with the target of improving the taste and flavours of kush plants. 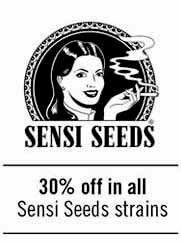 A short plant, and strong, good to combat anxiousness and generate a relaxing and pleasant state. Ripped Bubbais a triple cross: Bubba Kush x Kacks Cleaner x Space Queen. A plant with strong taste, with a medium yield of heavy dense flower, good for the pain and mental relax. 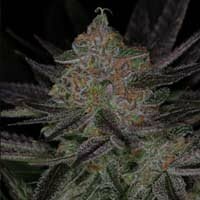 A blend of indica-sativa with a short flowering of 7-8 weeks.
. A tall plant, and bushy, with medium yields, good both for indoors and outdoors. Space Dawg by TGA Subcool is a strong strain with genetics: Super Snowdawg (Bubble Chem x [Super skunk x Oregon Sno]) x Romulan x Cindy99. This long time worked crossing gives good yields, and sticky resin, besides quality and quantity flowers. A strain to solve pain and anxiousness.